Dedicated volunteers have given more than 35,000 hours of their time during the last year to help run Merton’s award-winning libraries. 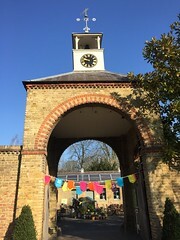 Around 530 volunteers are involved in supporting the borough’s seven libraries as well as the home library service and other borough wide initiatives. These figures are some of the highest in the United Kingdom and the volunteering model is used as a best practice example. The volunteers are responsible for a variety of tasks including supporting customers, delivering activities and promoting the library service. 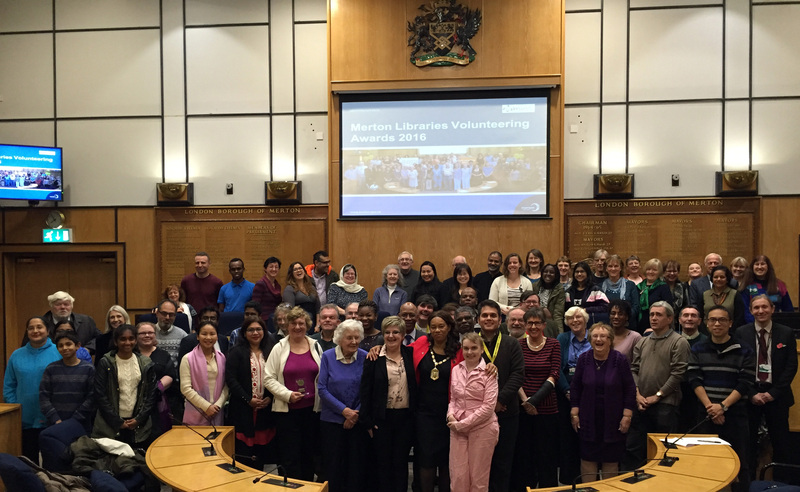 Volunteers come from all parts of Merton and reflect the borough’s diversity. Volunteers were invited to an event at the Civic Centre in Morden on Thursday where certificates of recognition and awards were presented by the Mayor of Merton, Councillor Brenda Fraser, the Cabinet Member for Community and Culture, Councillor Nick Draper and Khadiru Mahdi, Chief Executive of Merton Voluntary Service Council. Councillor Draper said: “This event was our opportunity to say thank you to all the dedicated volunteers who give their time to provide an excellent service for library members. Their hard work and commitment has helped to ensure that our library service is among the best in London. For more information about volunteering in Merton libraries, visit our volunteering opportunities webpage. For photographs from the event, visit our Flickr page.